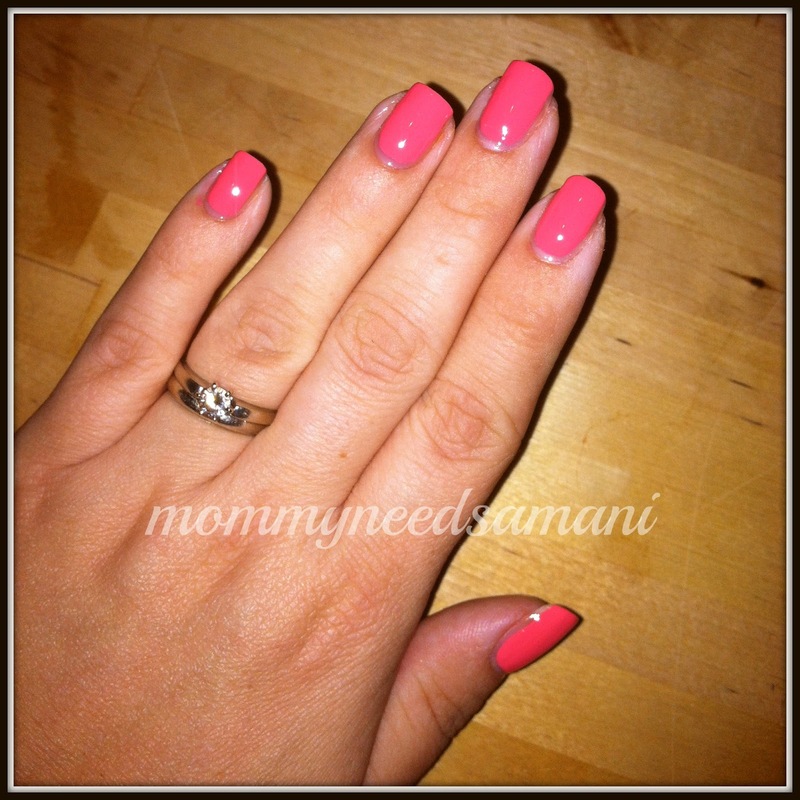 I'm linking up with Tara and Vicki for The Nail Files! Today I'm wearing Coral Reef by Sally Hansen. I think the color is gorgeous!! I bought it at Target on our way home from Columbus. The only problem I had with this polish is that it was really thick. I had trouble with streaking and air bubbles. I had to take the polish off and redo my nails. Love the color hate the consistency. I'm out of my Essie Good to Go which usually fixes my problems with air bubbles. The color has more orange in it than what's showing up in the pictures. It really is pretty. Go link up so I can see what you're wearing on your nails!! very pretty! great color for summer! love that coral color! so pretty! i've been wanting to buy that color! so pretty!